Anritsu's latest generation of handheld spectrum analyzers is the MS2720T Spectrum Master. 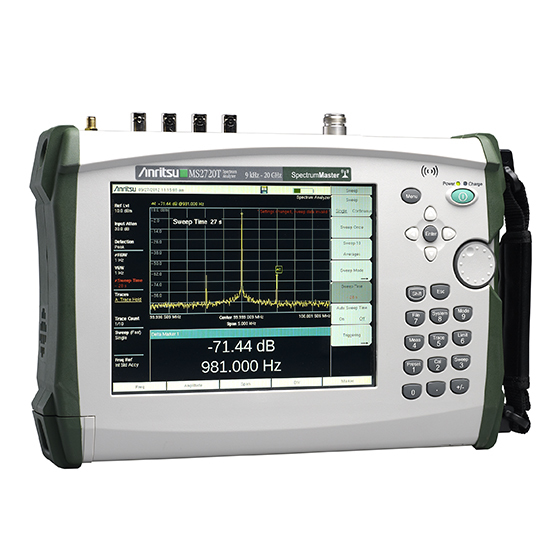 This represents the company's highest performance handheld spectrum analyzer. Exciting new features and options bring more value and speed to the user. For post processing data collected on your instrument utilize Master Software Tools – a PC program included with the instrument. 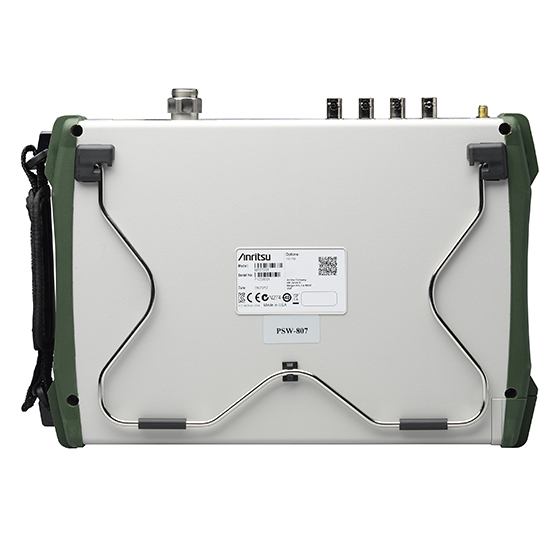 It provides powerful data analysis tools for spectrum clearing and interference monitoring. For easing repetitive measurements, use the easyTest Tools, also included with the instrument. For remote viewing and manual control, the instrument has a built-in web server, compatible with HTML-5 browsers. Weighing about 8 pounds fully loaded, including a Li-Ion battery, the fully functional Spectrum Master MS2720T family of handheld spectrum analyzers are light enough to take anywhere, including up a tower. 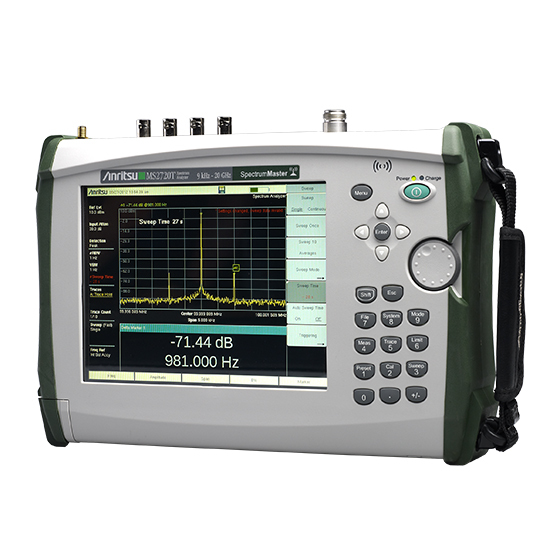 Continuous frequency coverage from 9 kHz to 43 GHz gives the wireless professional the performance needed for the most demanding measurements. Whether your application is spectrum monitoring, hidden signal detection, RF and microwave signal measurements, microwave backhaul testing, or cellular signal measurements, the Spectrum Master MS2720T gives you the tools you need to make the job easier and more productive. easyMap Tools™ provides maps in formats that Anritsu's handheld spectrum analyzers can use for either coverage mapping or interference hunting. It helps users find and prepare geo-referenced maps and building floor plans for use by Anritsu handheld Spectrum Analyzers. Burst Detect captures 200 μs bursts the first time, every time. Step by step installation instructions. NEON Signal Mapper, a 3D in-building solution. 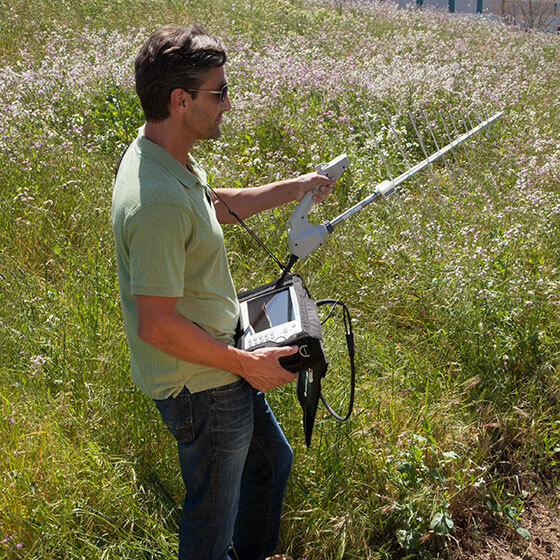 Spectrum analyzers provide accurate RF power measurements over a wide frequency range. The MS2720T Spectrum Master delivers desktop performance in a rugged, handheld package. Battery operated for take-anywhere convenience, the MS2720T is at home on a bench, at a cell site, on shipboard or in a monitoring van. MIMO and Remote Radio Heads complicate LTE eNodeB transmitter measurements. Simplify and speed up the process of carrier aggregation measurement within LTE and LTE-A.